I had a secret fantasy when I started this blog. I would put things out on the interwebs and people would flock to read it. Then publishers would call and I’d have to quit my job to go on book tours and talk shows. Kinda like when you buy a lottery ticket and fantasize about all the things you’ll do when you’re suddenly filthy rich. I’m sure I’m not the only one who wants this. To get to that magical place right now, without having to put in all the time, work, and struggle. Getting There. I’m sure everyone does this to an extent, but Manic Impressives do this a lot. We are impatient when it comes to results. We don’t want to hear about discipline or paying dues or the Happiness of Pursuit. Screw all that. We want it now. Truth is, wherever we are now is a place called Here. And we’re Here because of all the little choices we’ve made over time. Like a lot of you dreamers, I also want to be propelled quite suddenly to There, miles ahead of where I am now. We Manic Impressives can’t help it. We want to get There, now. Because we know it’s possible. We see lots of people on our TVs make that huge leap, get discovered, and bam, they’re There. 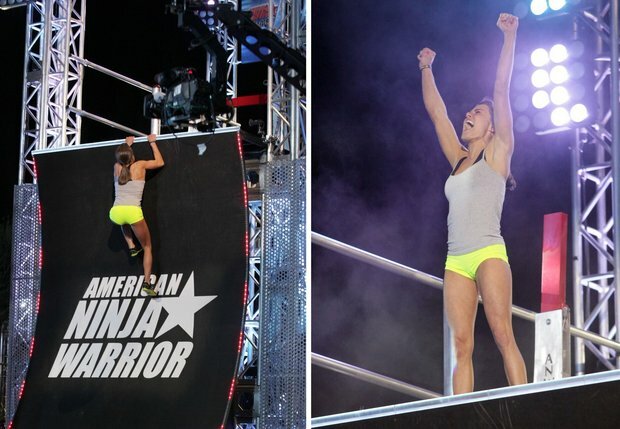 Like the guy from the walk-on line at American Ninja Warrior, who suddenly finds himself at the top of the Warped Wall, hitting the buzzer, and getting through to the next round. Fans cheering, commentators gushing, instant fame and success. It happens. “Hello there! This blog post could not be written any better!